Our 12v motorized irrigation ball valve is used as an example in these instructions, but this wired wall switch can be used as a control system for any standard 12v DC motor or device. This would include items such as blind and shade motors, fans, LED lighting, etc. 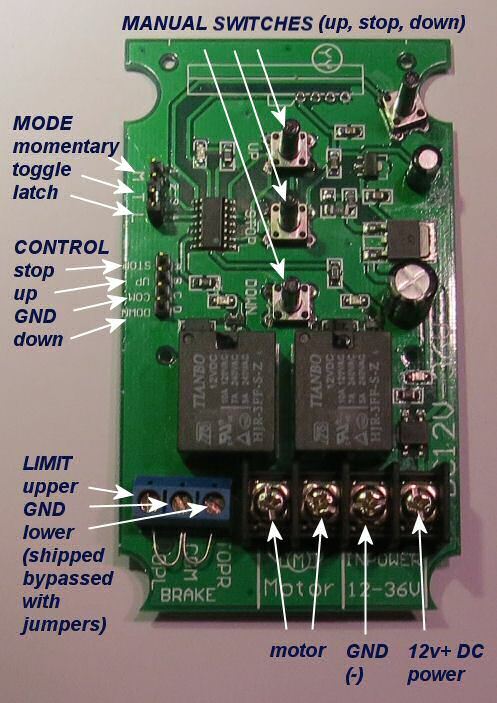 In these instructions, we are using our wired wall switch controller that comes with the kit, which is one of the devices in our RollerNode™ Motor Control series. 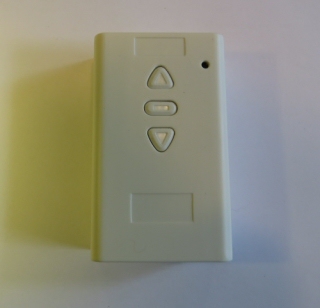 We also have Z-Wave add-on trigger modules and other digital radio remote control systems. You can also integrate this very easily with any home automation system from companies such as Vera®, Insteon®, Z-Wave®, Wink®, SmartThings®, Zigbee®, Crestron® and Control4®. Any home automation system that has dry contact output (ie relay capability) will work with this switch. Connect the 2 wires of the ball valve to the 2 motor screw terminals of the switch (polarity does not matter, other than it reverses the direction of travel). Connect the 2 wires from the power supply to the input power terminals (polarity does matter). Plug in the power supply, and the switch will now operate the valve. We always recommend that you set the system up first on a table so that you can become comfortable with the operation and programming procedures. You will need some wire to connect the DC power supply to the controller switch and/or to extend the wire from your valve motor. Ordinary lamp cord works well, but you may need fire rated cable for in-wall or plenum applications. There are 4 recessed screws on the back of the switch in each corner that will allow the 2 halves of the switch housing to come apart. You'll need a small Philips screw driver to open the housing. The interface has 3 modes of jumper controlled operation: latched, momentary, and toggle. The default setting is latched, and is the most common method of usage; if you change the mode jumper, you'll need to power down the unit first. The switch can handle up to 10 amps of current (120 watts @ 12v DC), which is enough to power about 15 valves simultaneously, depending on loads (power supply should also be upgraded to provide suitable power output). You later expand your system to include more valves as we do supply just the valves themselves; we can also provide larger power supplies, if required. Since this system operates on 12v, you can also run it from a small 12v car or motorcycle battery, with a trickle charger and/or solar panel. The 12v power supply that comes with the kit has a screw adapter on the end to facilitate easy connections. 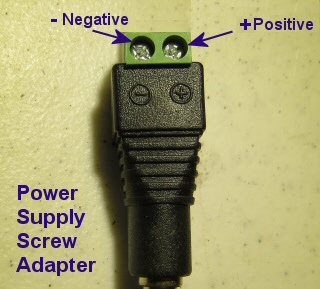 It is important to observe polarity (negative and positive wires, as seen in this picture) when connecting the 2 power supply wires (not provided) to the radio motor controller power input terminals. You will need a small Philips screwdriver to tighten the screw terminals on the adapter and controller board. We recommend that you get a set of small jeweller's screwdrivers for this purpose. We also provide a white 2 pole spring loaded wire connector that you can use however you like. 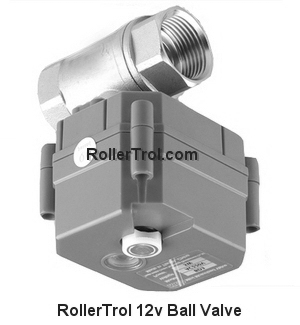 The valve has a short cable that feeds power to the unit; the wire pair at the end should be connected to the output screw terminals of the RollerNode™ motor controller module. This can be extended with a single pair wire, if you need to install it further than the supplied cable allows. Lamp cord (#14 or #16) works well, and so does heavy duty speaker wire. You do not need to observe polarity because reversing these wires simply reverses the action when you press the open/close buttons on the switch control.